Backwoods’ aim is to teach students not only how to survive, but to thrive in the natural environment – as our ancestors did and as many indigenous peoples still do. We equip our students, not with expensive kit, but with the knowledge and skills to face the challenge of moving from a comfortable modern existence to one of self-reliance, building a closer relationship with nature. Backwoods is not a military style boot-camp, but nor are we woodland romantics. 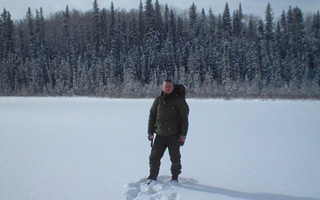 We take a realistic approach to wilderness living, combining the skills, crafts and knowledge of our forebears along with modern methods and techniques. 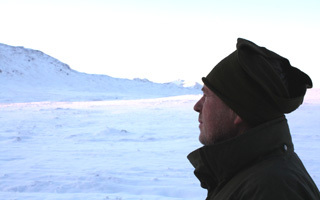 Originally trained as an artist, Patrick has had many mentors to guide him on his professional journey into bushcraft & survival – from his lighthouse keeper uncle to SAS survival expert Mick “Ginge” Tyler, for whom he instructed at Breakaway Survival School in the late 90s, to Mors Kochanski who has had a huge influence on Patrick’s journey. Over the years, Patrick has worked with many established & new practitioners of this subject, but he feels especially honoured to have spent time with Tom Roycroft, a true bushcraft pioneer. 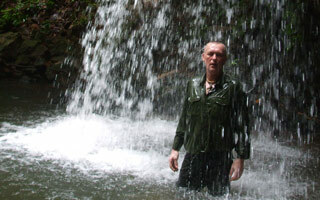 Patrick formed Backwoods in 2002 and when not teaching, he travels around the world – to the jungles of Borneo, the Amazon & Brunei, Northern Canada, USA, Norway, Sweden, Bolivia, Iceland and many other countries, learning and rediscovering ancient skills and knowledge in a disappearing world. Through his travels, he has had the privilege of learning practical wilderness living skills directly from indigenous peoples who still live their lives using ancient skills. 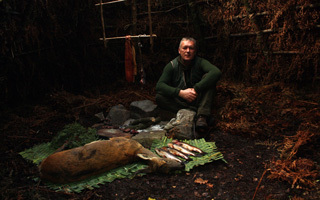 Through constant study, experimentation and practice Patrick has built up a wide knowledge of ancient skill sets and techniques which he teaches on his courses and this has kept him at the forefront of bushcraft in the UK. As well as teaching in Scotland he also runs courses in Norway. When not teaching or travelling, Patrick is always at work on a new project – he is currently making a series of harpoons, knives & netting needles from whalebone he found in Iceland! Patrick has written articles for many publications and has worked on numerous TV shows over the years, appearing in and presenting 23 episodes of BBC Landward; Dads School & A day in the Forest for ITV; Making Scotland’s Landscape for BBC; Three men in a Boat for BBC; Meet the Hoff, Independent; Derek’s Dreaming Again for BBC and many others. In 2017 Patrick built an experimental Neolithic boat using 5 cow skins for the BBC series “Britain’s Ancient Capital: Secrets of Orkney”, which successfully carried 9 people for 30 miles across one of the deadliest water stretches in the UK, to prove the theory that our early Neolithic ancestors were capable of travelling between mainland Scotland and the Orkney Isles. Patrick is always eager to learn new skills and to share his knowledge with others. He has lived in the wilds for long periods on many occasions, armed with only his clothing, knife and a metal cup! At Backwoods, we are well aware of the tough mental attitude required to do this and we dispel the romantic ideal of ‘living off the land’ on our courses. “I am a firm believer in ‘practice what you teach’. when faced with the hardships and realities of it all”.